As the time for the Next Gen consoles nears, XBox seems to be scrambling to improve every part of the experience possible, and current XBox owners are reaping the benefits of the customer pleasing efforts. This time, Microsoft has taken a look at one of its new features and decided to improve it. The XBox SmartGlass technology is still catching on with current XBox users, but thus far has been a hit. The technology allows XBox users to improve their experience by being able to navigate away from their XBox and still control it from their tablet, mobile phone, or other wireless device. This obviously has countless applications for many of the different media features on the XBox, but it also has gaming applications with the Second Screen feature on SmartGlass. 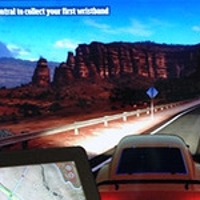 The Second Screen feature allows users to open up a second screen on their device as they are playing a game on their XBox. For example, they can keep a map of the area open as they are treasure hunting on their screen. This is a great feature all the way around for gamers! Microsoft has decided that the feature is worth improving for Next Gen consoles, though. The new improvements will allow your phone or device to insert itself into the game more. You will possibly even see your phone in some games. In addition, the second screen feature will now be able to be used in one single game by many different devices. This means that those playing an MMO will all be able to enhance their experience in the game. This feature is planned to launch with the Next Gen consoles this holiday season. The XBox one just got a little better, and Microsoft is anxious to see what will happen with SmartGlass.